The Invaders International Present THE BLACK POWER TAROT by King Khan & Michael Eaton, under the supervision of Alejandro Jodorowsky. 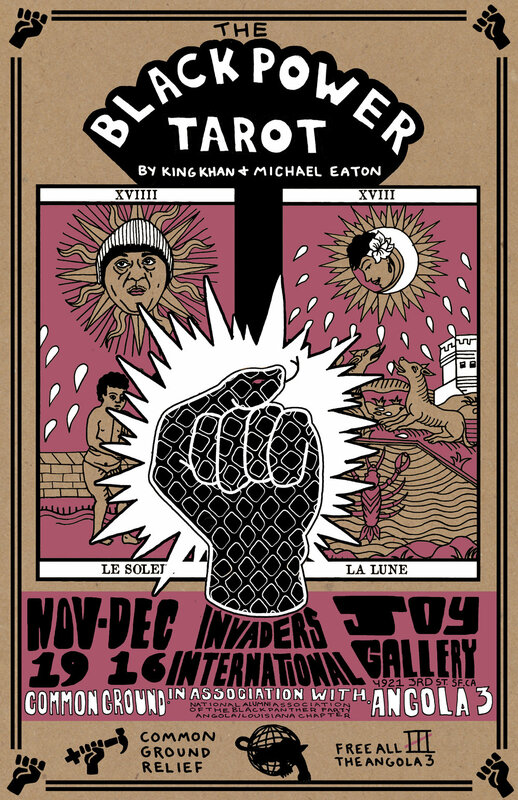 THE BLACK POWER TAROT exhibit will run from November 19th - December 16th, with a film screening of the Invaders Documentary, date to be announced. Each card will be displayed in maximal scale (195cm x 100cm), amplifying the visual and metaphysical impact of the deck. Live tarot readings, a film screening, and possibly more are planned during the run of the exhibit. The exhibit will also feature The Black Power tarot cards and King Khan merch for sale including a Black Power Tarot coloring book free for the young ones in attendance!